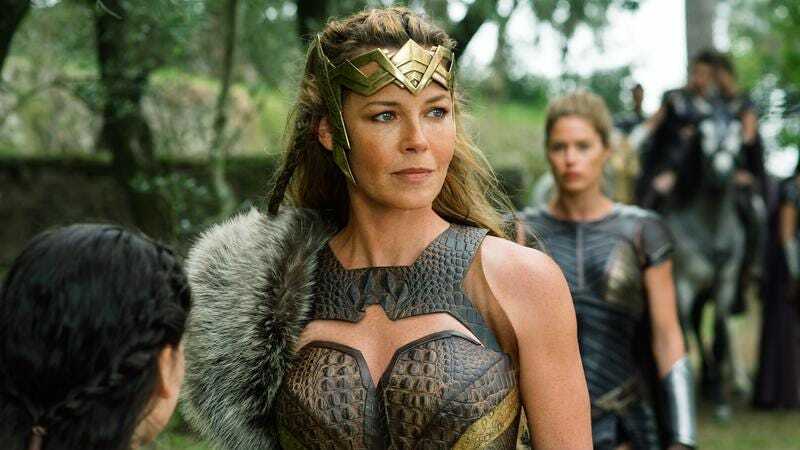 Her story: As shown in Wonder Woman, she is Queen of the Amazons, a race of women created by Zeus to guide humanity and protect them from Ares, the god of war. Hippolyta lives on Themyscira, an island hidden from humankind, and raises her daughter, Diana. After forbidding Diana from training to fight, she discovers her sister Antiope has been training Diana in secret, and despite scolding them, allows Diana to continue her training. After Steve Trevor crashes his plane in the water off the island, a battle with German soldiers ensues, and Hippolyta decides World War I is none of their business, and the Amazons will not get involved. However, Diana disobeys her, and Hippolyta comes upon her daughter leaving the island with Trevor. Although she is heartbroken to be losing her daughter, she gives Diana her blessing. Currently, Hippolyta is: Still living on Themyscira with the Amazons. When will we see her next? Unknown.